If you want to take a test of your PC’s graphics driver, you need not download a separate software for this. You just need to visit the YouTube’s link. When I tried to watch this video my laptop begged me to stop it. It couldn’t handle the 8k video. Yes, you read that correctly – 8k! 8K FUHD is a resolution of 7680 × 4320 (33.2 megapixels). 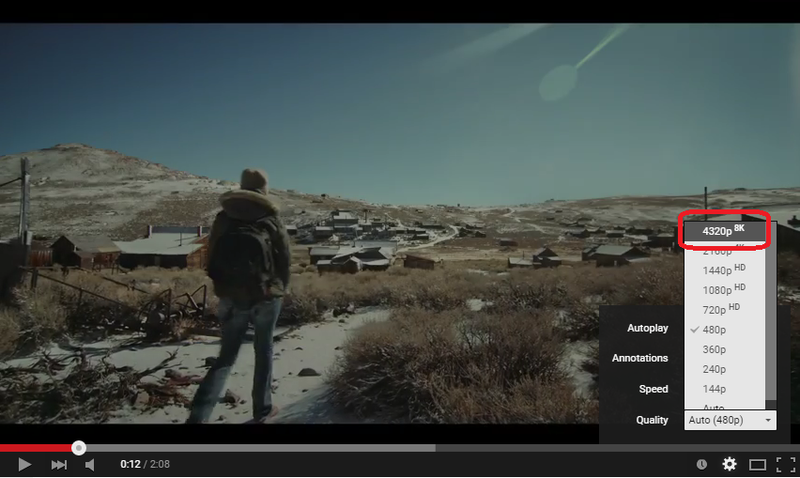 According to a report by 9to5Google 8K video has been supported since 2010, but that labeling for 8K video (the 4320p/8K quality setting like pictured above) was added earlier this year. The link to the 8k video provided above is actually a short film by Neumann Films’, made using the RED Epic Dragon 6K camera. In another news, YouTube has started supporting live-streaming 60fps video for gamers and also 4k video playbacks at 60fps.